We have too many misguided adulterous married ladies today getting their lives destroyed because of social media negative influence, where they can flirt and sleep with all kinds of men secretly despite being married. Yet these ladies go to church, they will even be the first to ask you why God is not answering their prayers. God is REALLY patient with this promiscuous generation. For those who are still doing it, the end is Hell Fire. Continue at your own peril. The police in Abuja have arrested a website designer, Paul Ezeugo, 27, who allegedly killed a married woman he met on Facebook and started dating. 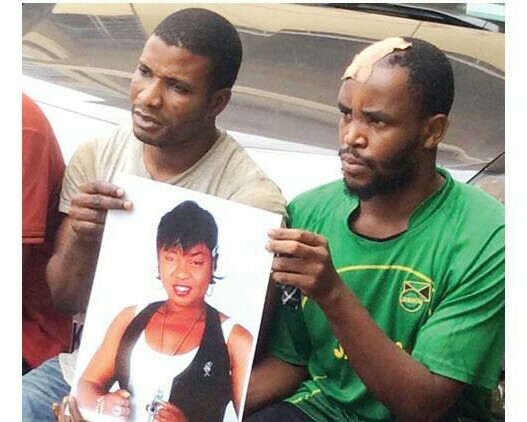 The police had been on a manhunt for the two suspects since May, 2016 when Charity’s mutilated body was found packaged in two sacks at a river bank in Ushafa, a satellite community in Bwari Area Council of the FCT, Abuja. Parading the two men alongside other suspects in Abuja on Thursday, the FCT Commissioner of Police, Sadiq Bello, stated that Ezeugo confessed to killing the married woman, who he said was his "girlfriend". The CP explained that the principal suspect also confessed that he plied the deceased with alcohol before moving her from Yaoundé Street, Wuse to Kagini, in Kubwa where her body was butchered. “Upon his arrest, the principal suspect who has been at large since the lady’s disappearance, confessed during interrogation that the mother of four was his girlfriend and that he conspired with one Emmanuel Adogah and murdered her on May 9, 2016 at about 23:30hrs at Kagini. The late Charity’s husband, Mr. David, said “Despite the negative, wicked insinuations and blackmail in the social media, we were not deterred. Today, we know what happened to Charity; two young men, Ezeugo from Orbah, Nsukka, Enugu State and Adogah from Okpala, Edo State confessed to have conspired and killed her."